Join us 13-20 October for eight days of art, discussion and protest with leading environmental human rights defenders visiting London from Latin America to share their experiences resisting the world’s largest mining company, which has been devastating communities with impunity for decades. We will also come together to call for the UK government to commit to a Binding Treaty on Business and Human Rights to end corporate impunity for good. 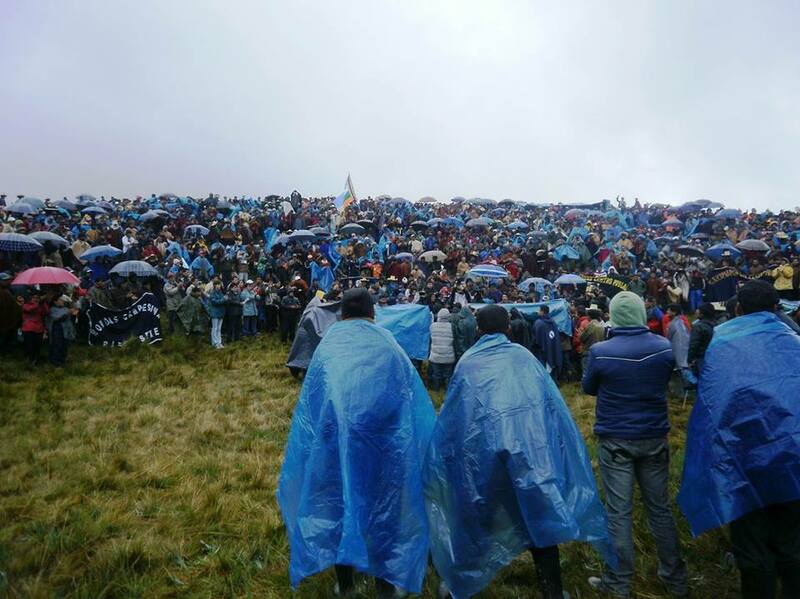 Please help us cover our costs of the week of action entitled #BeyondBHP: breaking free from the world’s biggest mining giant by contributing to our crowdfunder. Communities all over the world are rising against mining violence and building real alternatives and Anglo-Australian owned BHP is the world’s largest multinational mining corporation. Its record of forced displacement, dispossession and catastrophic environmental damage stretches back decades. It is so powerful it is seldom held to account for this devastation, while indigenous, afro-descendant and peasant communities are hardest hit. 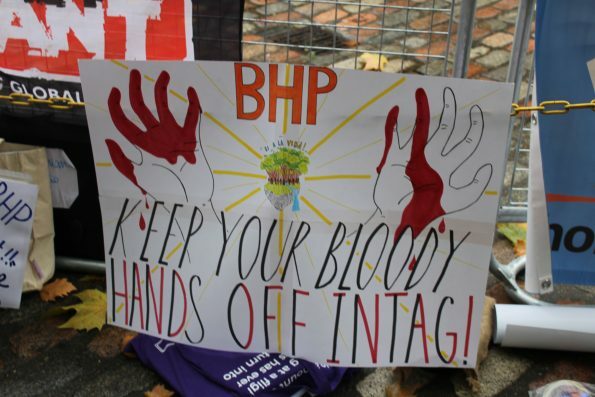 BHP is a clear example of how corporate impunity denies justice to workers and affected communities while it makes massive profits at their expense. This is why we need binding legislation that can put an end to corporate impunity worldwide. Marking 10 years of international austerity since the financial crisis, we will also question the cosy relationship between the City of London and multinational corporations around the world. The effects of this are being felt today in a global crisis of inequality that connects mining violence in the global South to the collapse of social welfare and the rise of the far-right closer to home. The system of corporate impunity that allows BHP to devastate territories and communities and escape accountability, is the very same system that let the banks off the hook for the financial crash ten years ago and condemned UK families to a decade of austerity and falling wages while fueling the rise of the far-right. This is why we need binding legislation that can put an end to corporate impunity worldwide. Saturday 20 October, Extractivism: Resistance and Alternatives at We Feed The World, 11am to 6pm at Bargehouse Gallery, Southbank, London. Accessibility: The university events are accessible via lifts or will be on the ground floor (TBC). The Bargehouse Gallery also is accessible via a lift. The demonstration will be outside and is wheelchair accessible. Please see individual event pages for more details or email @contact@londonminingnetwork.org with any questions or requests. #BeyondBHP is organised/co-hosted by London Mining Network, Coal Action Network, Colombia Solidarity Campaign, The Gaia Foundation, Threepenny Festival Association and War on Want.